And yet, thanks to the small-mindedness of two state senators from Long Island and the fecklessness of the Senate majority leader, we remain so far away. 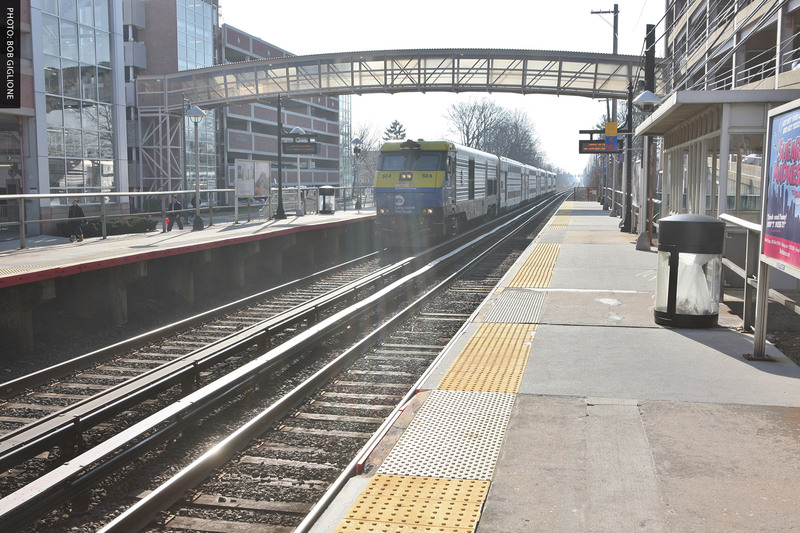 The future of Long Island is tied to the third track on the Long Island Rail Road’s Main Line. The region’s economic growth, its housing market and its ability to sustain and create jobs depend on the quality of its transportation infrastructure. This 9.8 miles of new track would be laid in the existing right of way in a small slice of the Island between Floral Park and Hicksville, but it would have outsized impact on all of us. Just by adding a third track, congestion could loosen, and the number of trains and riders the Main Line would carry could increase. It would provide a bypass when there’s a breakdown or other problem on the line. It would mean workers could do routine maintenance on one track while others are free for travel. It would meet the demands of LI businesses that need the talents of employees who travel east in the morning and west in the evening, that elusive reverse commute which has been all but impossible because of only two tracks. It would increase opportunities for development around train stations, with a variety of housing and a mix of uses. And it would vastly expand the options for commuters to use Grand Central Terminal when the LIRR connection to the East Side is completed. The Metropolitan Transportation Authority board has approved a budget of $1.95 billion for the LIRR expansion. That would cover not only the third track, but also a vast array of desperately needed improvements in villages and towns along the Main Line, from parking garages in Hicksville, Westbury and Mineola, to sound barriers, upgraded stations, and street-level railroad crossings eliminated in seven places. At a time when commuting horrors erode our quality of life, it’s unfathomable that our elected officials are more concerned with their personal agendas. Right now, Republican state Sens. Elaine Phillips of Flower Hill and Kemp Hannon of Garden City seem determined to stop the project in its tracks. If their objections carry enough weight to sway Senate Majority Leader John Flanagan (R-East Northport), Flanagan will in turn direct Sen. Martin Golden (R-Brooklyn), who sits on the MTA Capital Program Review Board, to veto the plan. That’s not leadership. Long Island will fall even further behind on modernizing our infrastructure. That can’t be allowed to happen. That was nothing more than a wish list item until the 1980s, when a third track became part of an LIRR capital plan for the first time. Again and again, those plans were delayed, stymied or stopped by funding shortages, community opposition and a lack of political will. We’ve never gotten the third track as close to reality as it is now. The money is allocated, the MTA board has approved it, the vast majority of village mayors, local officials and residents favors it. That’s partly because most local concerns have been addressed; the newest incarnation of the third track was carefully designed to affect as few private properties as possible and, as our map shows, there are many extra benefits, such as the elimination of dangerous and congestion-causing grade-level crossings, something residents have wanted for years. Phillips and Hannon have different reasons for their opposition, but the same conclusion: The third track shouldn’t go forward. Neither makes a valid case, and their objections are elusive. Phillips said she believes the concerns of the local villages have not been addressed sufficiently. But when asked for specifics, or even a sampling of remaining issues, she declined to name one, saying it was up to the villages to outline them. And she said the LIRR expansion should not be moved along until details are ironed out. But if she’s not able to articulate the questions, how would she get answers? Phillips said she understood the regional significance of the project, but the objections of one or two local mayors hold more weight. Put bluntly, it’s an open secret that the first-term senator is afraid of losing re-election in 2018. It’s just the latest example of the self-interest that stymies Long Island. Hannon comes to his opposition with different, though no less wrongheaded, concerns. He said the third track plan is “nice,” but not essential, and, he stunningly doesn’t see value in it beyond its impact on the East Side Access project. Hannon said he would rather tackle other rail issues, like signal problems, but funding for those are already in the works. And he cited the track trouble plaguing the rails under Penn Station. But those are Amtrak’s responsibility. It makes no sense to contend that until those repairs are made, an almost $2 billion multi-year plan to expand and improve service should remain in limbo. Hannon’s argument that the MTA’s capital money is better spent on the more immediate operational challenges is absurd. A third track is the bigger plan to address the ongoing problems of broken tracks, accidents and signal problems that plague everyday commutes. Hannon is quite correct to put a spotlight on Penn Station, but not only because it needs immediate attention. The problems at Penn are what happen when you don’t invest, when you allow infrastructure to deteriorate and don’t think ahead. The third track exemplifies forward thinking, although it has taken four decades to get to this point. Without it, our commuting problems and economic challenges will worsen. Flanagan and the other members of the State Senate delegation repeat the same mantra every election year: A Republican majority in the Senate is best for Long Island. Opposition to the third track project subverts that argument. Republicans used to have all nine Senate seats; now they have seven, and they will have even fewer if they block better LIRR service. That’s why the GOP’s entire Senate delegation should worry about the dangerous game being played here. They all need to step up and tell Flanagan, Hannon and Phillips that their refusal to support the current MTA capital plan, including the third track, puts their majority in grave peril. This is a transformative plan for Long Island. It must not be derailed.